This is a question we are often asked here at Smilemakers and the answer is that just about anyone can have this treatment, but of course we can’t say for sure until you have had a consultation with our Southampton dentist. People often think that age may be a problem, but this really isn’t the case. Younger people can benefit from dental implants provided their jaws have stopped developing, while age isn’t a barrier for older people as good general and dental health is much more important. However there are certain factors that can influence whether or not you can benefit from this treatment. Health problems, particularly any impacting your immune system can affect dental implant treatment. This is because dental implants need time to heal and integrate with your jawbone and if anything disrupts this healing process it can increase the risk of implant failure. 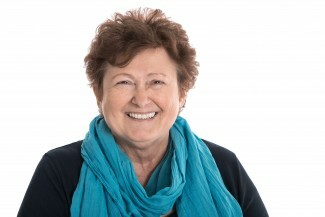 Diseases that can affect dental implant treatment include diabetes, but even so it’s still worth having a chat with our Southampton dentist if you have this condition. People who have their diabetes particularly well-controlled may still be suitable for dental implants, so it is well worth asking if you are in this situation. When you have your initial consultation with our dentist in Southampton, you will find we do need to know your medical history, including any health conditions and medications being used that could impact treatment. Dental implants consist of a titanium post that is inserted into the jawbone. This replaces a natural tooth root and over time the post integrates with the jawbone. It is specially treated to encourage the growth of new bone cells on and around the post so that eventually it will be strongly anchored in position. For this to happen dental implants need to be inserted into a certain amount of healthy bone which can be a problem for some people. This is because the jawbone can be destroyed due to periodontal disease or some other condition and you naturally lose bone after your teeth are extracted. If you lost teeth quite some time ago then it’s possible you may not have sufficient bone to place your dental implants, but this doesn’t mean treatment is impossible. Instead, we might suggest you have a bone graft prior to treatment which will build up the bone so it is the correct height and width and able to support dental implants. Sometimes this might lengthen the treatment time as quite often the bone needs to be placed in a separate procedure, but if only a small amount of bone is required then we may even be able to carry out a bone graft at the same time as we insert your dental implant. When you visit us here at Smilemakers for your initial consultation about dental implants, you will find we go to a great deal of trouble to determine if dental implants are the best option for you. Our dentist in Southampton will thoroughly examine your jawbone and will chat to you about this process, helping you decide if you want to go ahead. If you are interested in dental implants then we encourage you to book an appointment with us and you can call us on 02380 442626. 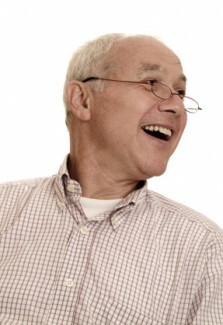 You can also find out more about dental implants on our website at www.smilemakers.co.uk. This entry was posted in Dental Implants on 9th May, 2016 by Smilemakers. Which Is Best? A Bridge or a Dental Implant? You will find our dentist in Southampton tries very hard to save natural teeth, with extraction always being the last possible option. If you do need to have a tooth out then it’s vital to think about how to replace it as soon as possible. Even a single missing tooth can have a detrimental effect on your dental health, allowing the rest of your natural teeth to drift out of position and into the empty gap which has a destabilising effect, while the opposing teeth will begin drifting towards the empty space, affecting your bite. There are two main options that you can consider which are to have a dental bridge or to choose a dental implant, but which can be best and why? A dental bridge can be a great option if the teeth either side of your missing tooth could benefit from being crowned. In order to fabricate your dental bridge, our dentist in Southampton will need to grind down these adjacent teeth which will then be covered up with crowns that are attached to the replacement tooth called a pontic. It is relatively quick to have a bridge custom-made and the final results can look wonderful. When Is a Dental Bridge Not Such a Good Idea? If the teeth adjacent to the missing tooth are strong, healthy and look pretty good then it can be pointless having to grind them down just so they can be covered up with dental crowns. We hate removing any healthy tooth structure and over time dental crowns can begin to leak as they become older, increasing the risk of infection and decay in the tooth underneath. Additionally, these support teeth will need to be pretty strong as they will come under increased strain as you bite down on the replacement tooth or pontic. 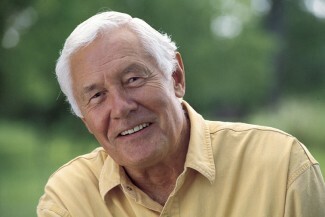 Dental implants are well worth considering, particularly when replacing a single tooth. As they are self-supporting, there is no need for our Southampton dentist to make any type of changes to your existing teeth. An implant post replaces a natural tooth root, providing a similar level of stimulation and helping to ensure your jawbone remain strong and healthy. Dental implants protect your existing natural teeth by helping to share the load created whenever you bite or chew and they make sure your natural teeth stay in the correct positions. Although a dental implant can be a little more expensive initially, in the longer term it can save you money when the time comes to replace the restoration, as you will only need to renew a single implant crown rather than a bridge affecting three teeth. Just about anyone in reasonable health can have dental implants, but this treatment may not be the best option for everyone. We can tell you for sure when you visit Smilemakers. Contact us to find out more on 02380 442626. You will also find lots of information on our website at www.smilemakers.co.uk and if you prefer, you can request a call back. This entry was posted in Dental Implants on 4th April, 2016 by Smilemakers. Missing teeth can be embarrassing and we see many patients who have struggled with tooth loss which is why we are so pleased to be able to offer dental implants. This advanced dental treatment can be a long-term or in some cases a permanent solution for tooth loss, restoring missing teeth in a way that will feel entirely natural and amazingly stable. Our dentist in Southamptoncan replace your teeth with the very latest dental implants making concerns about tooth loss a thing of the past. Dental implants consist of a titanium post that is inserted into your jawbone during a very small surgical procedure. The titanium post is specially treated to encourage new bone to grow on and around it and after a few months will be firmly integrated into your jawbone. By this stage it will be strong enough to be restored with your new replacement tooth that is attached to the implant post. The result will be a tooth that you can use normally to bite and chew and which will blend in seamlessly with your existing teeth. We can use single dental implants to restore single missing teeth. Multiple dental implants can support bridges of teeth, replacing several teeth in the same area of your mouth and they are wonderful for denture wearers. Dentures can initially fit quite well and should be comfortable to wear, but this can change in just a few short years due to the way the jawbone loses height and width after natural teeth are extracted. Changes to the shape of the jawbone make it increasingly difficult for a denture to be comfortably retained and as a result it is more likely to move around when eating or speaking. 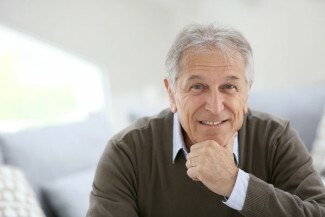 Dental implants can be a great way to solve this problem. By using several optimally placed dental implants, our Southampton dentist can secure a complete arch of denture teeth. These will clip firmly onto the implants so they cannot move but will still be easily removable for cleaning. There is another option to get rid of your dentures completely. We can make a full arch of teeth that will be permanently fixed onto your implants and which can only be removed by a dentist when you visit us for check-ups and maintenance. This does require a greater number of dental implants but is still very affordable. We often use dental implants to secure or replace lower dentures as these tend to cause the most problems as they have the least amount of retention, but there is no reason why dental implants cannot be used to replace upper dentures. The lovely thing about doing this is that we can construct your new upper denture in a slightly different way, so your upper palate is uncovered. This not only helps to make the denture considerably less bulky and more comfortable to wear, but will allow you to taste food more easily by uncovering all the taste buds in the roof of your mouth. If you are interested in finding out more about dental implants, then why not contact us on 02380 442626 to book your initial consultation or use our online form at www.smilemakers.co.uk. This entry was posted in Dental Implants on 8th February, 2016 by Smilemakers. We all have memories of our grand parents struggling to come to terms with bulky, obviously fake, loose fitting teeth which jiggled around in their mouths as they spoke or attempted to eat. Thankfully, like a great many things in life, advancements in dental technology have seen new dentures emerge which replicate natural teeth in so many ways, that it’s often hard to tell the difference. One of these innovations is the implant supported denture which as a Southampton dentist, we have no hesitation in recommending to patients. So what exactly is an implant supported denture? Well, as its name implies, it’s a full denture in the lower or upper jaw which is attached to dental implants. Dental implants are embedded into jaw and when used to anchor dentures in place, offers a level of stability that is unheard of in other types of denture. It’s more regularly used in the lower jaw, which is the hardest area to keep traditional dentures in place, but sometimes it’s used in the upper jaw too. The first step is to ascertain whether you’re a suitable candidate for implant retained dentures and this will involve a visit to your cosmetic dentist in Southampton. He will tell you whether you have sufficient bone to support the implants and whether or not you require any other procedures to get your mouth ready for surgery, such as a sinus lift or bone graft. If you’re given the go-ahead then you’ll need a temporary denture to wear while you’re waiting for your implants to heal. This will take several weeks and numerous fittings where impressions are taken and models fitted. This will also serve as a guide for when the surgeon places your implants. As few as 4 to 6 implants will be placed at strategic intervals and angles into your jaw bone to support the denture. You’ll then need to wait for several months for the implants to fuse with the surrounding bone and soft tissues. Once this has happened, then the implants will be uncovered and prepared for the ball attachments to be placed. These will fit into corresponding sockets into the bottom of the prosthetic, enabling the wearer to click their dentures on and off for cleaning and brushing. Once this has been done and healing has taken place you’ll undergo another session of trying on your new teeth and only once satisfied with their appearance will be they be cemented firmly into the denture, and you’ll be good to go. The whole procedure from start to finish can take up to a year depending on what needs to be done, but according to our patients, the wait is well worth it. Although it represents a considerable financial and time commitment, it’s by far the best way to replace multiple missing teeth. If you’d like to know more about implant retained dentures, then why not book an implant consultation with Smilemakers, your trusted Southampton dentist. You can call us direct on 02380 442626 or contact us online at www.smilemakers.co.uk. This entry was posted in Dental Implants on 11th January, 2016 by Smilemakers. Dental implants consist of a titanium post which is surgically inserted into the jawbone and which over a few weeks or months fuses with the surrounding bone so that it becomes a permanent fixture in the mouth. Once it has stabilised then it’s able to support a prosthetic tooth or crown. A dental implant is the only method of tooth replacement which replaces an entire natural tooth since it replaces both the visible part of the tooth and the root below. Not only does the titanium post stimulate the surrounding gum tissue and bone but it also prevents any further bone loss from occurring, which happens naturally when a tooth is lost. The great thing about dental implants is their versatility as they can be used in a number of ways to meet different dental needs. 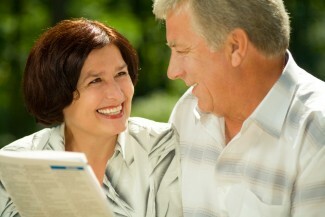 You can read about three of the most popular ways of using dental implants below. Single tooth replacement – Dental implants are a great solution for anyone who has lost a single tooth either through decay or injury. Colour matched and shaped to match the patient’s existing teeth, they blend in for a seamless finish. Not only do they look completely natural but they feel and act just like real teeth and are permanently attached. Multiple teeth replacement – If you’re missing multiple teeth (usually six or more) then your Southampton dentist may suggest using a fixed bridge to restore your smile. Unlike a denture there is nothing going over your gums or touching the roof of the mouth. Instead fixed bridges are cemented to dental implants and can only be removed by your dentist. They consist of porcelain teeth which are fused to metal which makes them very strong. The teeth seem to ’emerge’ from the gums and look totally natural. A fixed bridge does require more implants and a good density of bone, although this can often be augmented with a bone graft. into the jaw to support a single set of dentures. Using special clips which are located both on the implant and the underside of the denture, the denture simply snaps into position keeping it secure and stable. For cleaning purposes the denture is snapped off, cleaned and then put back into position. If you’re interested in learning more about dental implants and finding out if they are a suitable fit for you, then why not come and talk to Dr Thomas Darling and meet the team at Smilemakers. You can book online at www.smilemakers.co.uk or call us direct on 02380 442626. You can trust us to put a smile on your face. This entry was posted in Dental Implants on 14th September, 2015 by Smilemakers. Need Teeth Replacement? – What Are Your Options? As a general and cosmetic dentist in Southampton we see many people who come to us with missing teeth and are keen to find out how we can help them. The good news is that for most people there are several options open to them, so let’s take a look. If you’re missing just one or two adjacent teeth then you might want to opt for a bridge. As the name suggests, a prosthetic tooth or teeth ‘bridges’ the gap where the tooth once was. It can either be held in place via a framework which is supported by other adjacent healthy teeth, or if two or more teeth are missing, then it can be supported using a dental implant. Implant retained bridges require a short surgical procedure, while the other two types of bridge (Maryland and conventional) don’t. Each has it’s advantages and disadvantages, so it’s well worth speaking to your dentist to find out which is best for you. Modern day dentures are a far cry from dentures of old. They’re lighter, more comfortable, and indeed more life-like than their predecessors and can be made from metal, acrylic, or flexible acrylic. 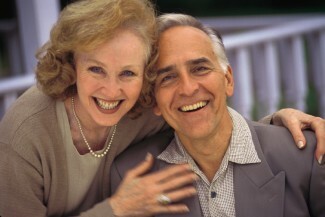 Dentures come in two types and these are full and partial. Full dentures are ideal for people that are missing entire rows of teeth, or alternatively have had most of their teeth removed because of their condition. Conversely, a partial denture is an acrylic or metal plate with prosthetic teeth attached to it. It can replace anything from one to many missing teeth. Conventional dentures are often held in place by suction alone but, like bridges, both full and partial dentures can also be held in place with dental implants giving the wearer peace of mind. 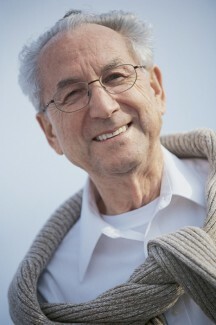 Dental implants are both functional and versatile. They can be used for replacing individual or multiple missing teeth and as already mentioned can also be used to support a bridge or dentures. 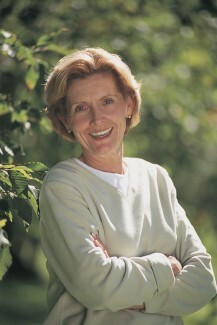 Unlike dentures, implants are permanently attached giving the user a more natural tooth-like appearance. A titanium rod (the implant part) is first secured into the jawbone. After a period of time the surrounding bone tissue fuses with the implant to provide a strong platform. This can then be used to support a single crown, framework for a bridge, or an entire set of dentures. Initially dental implants are more costly than other methods of teeth replacement, however once in place they offer a hassle free option that can last for many years. This entry was posted in Dental Implants on 27th July, 2015 by Smilemakers. Why Do I Need A Bone Graft Before Having A Dental Implant Placed? If you’ve visited a Southampton dentist to attend an implant consultation then at some point in the conversation you may have heard the words “bone graft” mentioned, and quite understandably you may at this point have felt a little alarmed. The good news is that a bone graft is nowhere near as scary as it may sound and is a routine procedure which is often carried out prior to a dental implant. What’s the reason for a bone graft? If a dental implant is to be successful then it needs to be placed into sufficient healthy jawbone. This is necessary for the bone to fuse with the titanium implant so that it’s held securely in place and able to support the additional weight of a prosthetic crown. For patients who have suffered bone loss and don’t have sufficient bone, then one solution can be a bone graft. Bone grafting is quite straightforward and is only carried out once your dentist has determined that you don’t have the quality or quantity of bone that is required to give a dental implant its best chance of success. To perform a bone graft a dentist will make an incision into the gum at the site of the intended bone graft and lift a flap of skin in order to expose the jaw bone. The bone graft material is then placed onto the site and covered with a protective membrane to protect it from germs and encourage the healing process. The flap of skin is then carefully replaced and the gum stitched back together. Healing time varies from one patient to another but generally takes around 4 months. You’ll likely be given a course of antibiotics to take for a few days following the graft and will be asked to use an antibiotic mouthwash to ensure the gum covering the bone graft remains healthy. Progress of the bone graft can be checked using X-rays to assess the width and height of the new bone and once it’s confirmed that there is now sufficient healthy bone, then the next stage of the dental implant can go ahead. Where does the material for the bone graft come from? In essence there are four choices for a bone graft: Autogeous – bone from the patient; Allograft – bone from another human (freeze dried and stored in a tissue bank); Xenograft – bone obtained from animals, usually bovine; Synthetic graft– mineral substitute. Typically bone taken from the patient gives the best results. If you’re considering a dental implant in Southampton then why not book a free consultation with Smilemakers. We’re a busy dentist in Southampton with a team of highly trained implant dentists. Dr Thomas Darling will carry out a thorough examination and, in the event that you do need a bone graft will explain all the risks and benefits of each type of graft and answer any questions or concerns you may have. Call us today on 02380 442626 to start the ball rolling or check out our website at www.smilemakers.co.uk to find out more. This entry was posted in Dental Implants on 22nd June, 2015 by Smilemakers.